Christmas is fast approaching, bringing with it a host of parties and celebrations. A Christmas feast is incomplete without that glass of wine, especially when New Year is right around the corner. 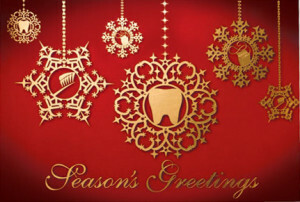 While you may enjoy all the hearty food and wine, they may not be the best thing for your teeth. Excessive consumption of wine can severely erode the enamel, leaving your teeth looking yellow and ugly. There is a popular misconception that white wine is less harmful than red wine. However, according to a study by the New York College of Dentistry, white wine is as harmful as red wine. Both these wines are acidic in nature which erodes the teeth enamel. This causes rough patches and groves on the surface of the teeth, making it more susceptible to stains. You may not really like the idea of limiting your wine intake during the holiday season, and you don’t have to. Just pay attention to the following tips to maintain the good health of your teeth. While you don’t have to completely give up on wines and fizzy drinks during festivities, you will need to limit your intake. Yes, it may not be as much fun, but moderate consumption will help you avoid several unnecessary trips to the dentist. While brushing and flossing is extremely important during this time of the year, do not brush immediately after sipping your wine or it may get abraded easily. Give time for the enamel to harden again. When you do brush, make sure to use a brush with soft bristle and use a tooth whitening toothpaste. While sipping on wine, make sure to also consume cheese as it helps coat the teeth with calcium. This layer of calcium will protect the teeth from the acidity of the wine. Hard cheese is particularly good for this purpose. Crudités such as broccoli, cauliflower and celery are a great option to curb the effects of wines. These vegetables can increase salivation which helps to naturally wash away the acids of the wine. If you’re wondering how to make teeth whiter this holiday season, just follow the above simple tips. You can have a perfect set of pearly whites without having to spend a fortune on dental visits. If after the party, you feel that your teeth have suffered, make sure to make an appointment with your dentist as soon as possible.